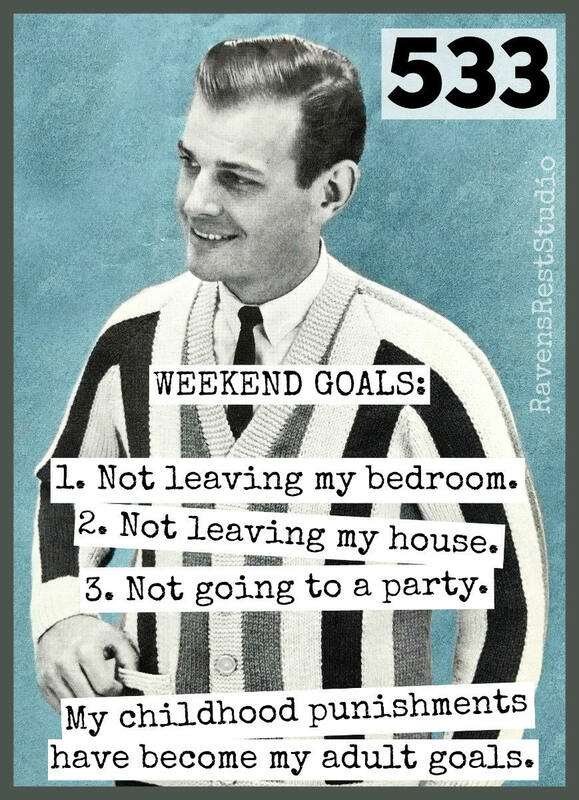 This card features a vintage man wearing a spiffy striped cardigan and reads: "WEEKEND GOALS: 1.Not leaving my bedroom. 2. Not leaving my house. 3. 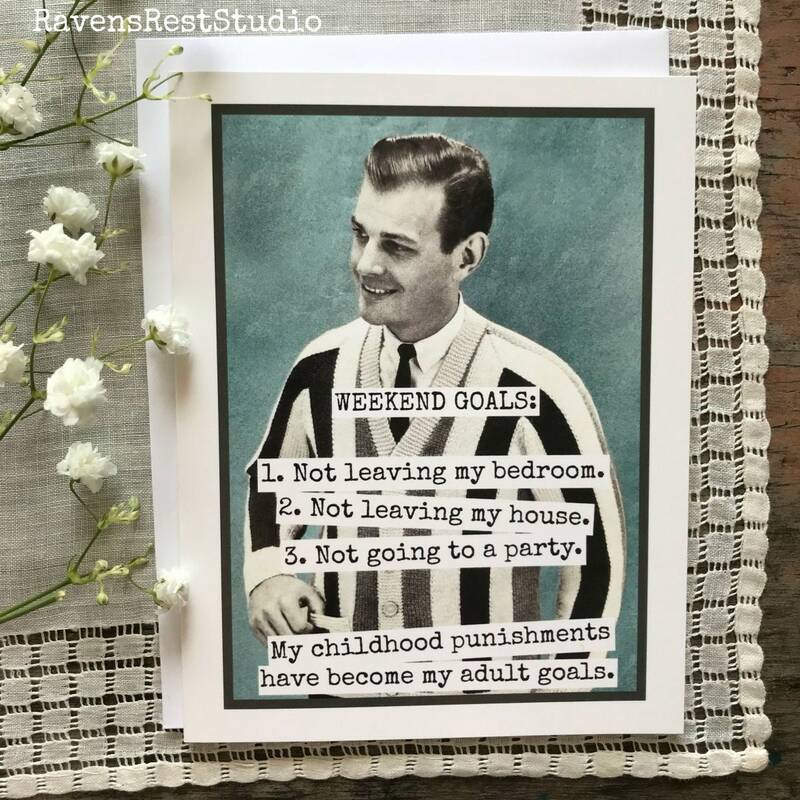 Not going to a party. 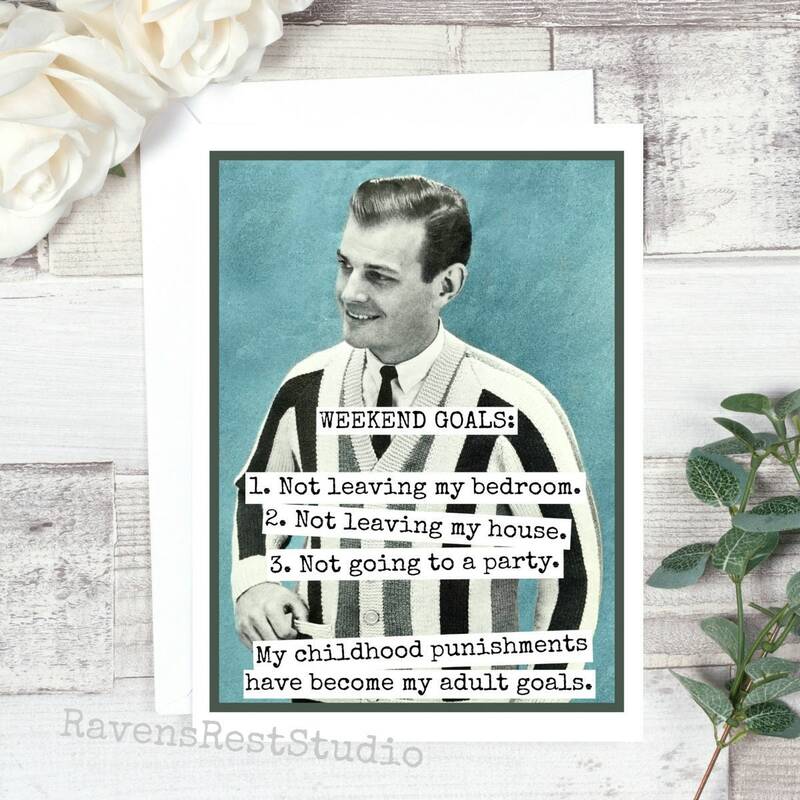 My childhood punishments have become my adult goals."